Healthcare is a big challenge to the Kenyan community. A high population have no access to medical care due to distance between hospitals and the costs associated. The highest populations at risk are women and children with a lack of maternal and pediatric, especially in the rural areas. Many rural Kenyans need to journey as far as 20 kilometers to reach a health facility, oftentimes along roads with no public transport. Such routine vaccinations such as TB, measles, polio and menengitus cannot be administered and common diseases such as pneumonia, typhoid and malaria oftentimes go untreated, contributing to the high infant mortality rate. Similarly, expecting mothers receive almost no prenatal care, a practice which becomes even more important when HIV/AIDS is present in the community. VICDA volunteers prepare to host a medical camp at Kikopey IDP. VICDA is determined to help this problem by hosting medical camps in rural and severely impoverished areas and introducing volunteers with medical backgrounds to various projects in need of assistance. Medical volunteers working with VICDA through GVN are placed at either Ngong Hospital in Ngong, Naivasha District Hospital in Naivasha or Githunguri Health center in Kiambu. In addition, past volunteers with a medical background who volunteer through the IDP program have hosted weekly clinics at the camp and have conducted home visits for bedridden patients. Similarly, past volunteers at other projects have raised money to sponsor mobile medical camps to visit specific communities. 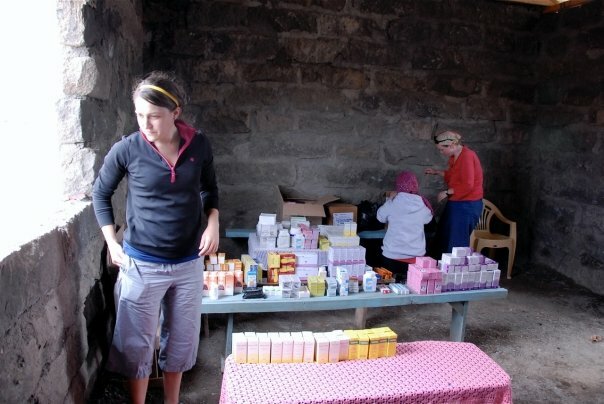 Medical professionals who volunteer with VICDA in Kenya certainly will be put to work! Currently, VICDA is constructing a brand new medical center and hospital at the Giwa Farm IDP Camp in Rongai. The hospital will serve over 5,000 IDP’s and members of the surrounding community who currently do not have access to affordable healthcare. To become involved in the construction of this hospital, please consider being a part of the next Voluntourism Trip to Giwa Farm.